Now, there's no need to deprive yourself for some creamy and yummy soft-served ice cream with Pinkberry's Pinkbee's! 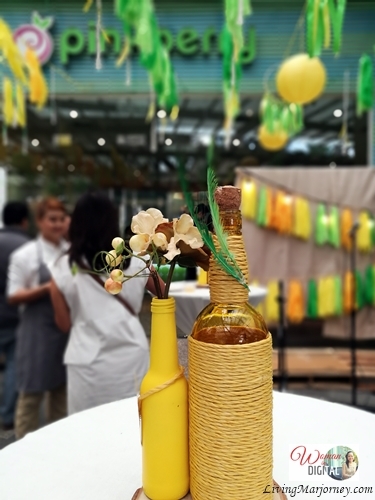 Pinkberry recently launched Pinkbee's one hot afternoon at Pinkberry Glorietta 5. My favorite yogurt house turned into a summer, picnic park serving cold beverages and unlimited yogurt. 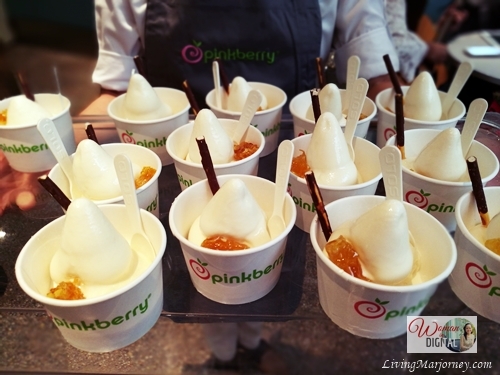 Pinkbee's is Pinkberry's take on soft-served ice cream. 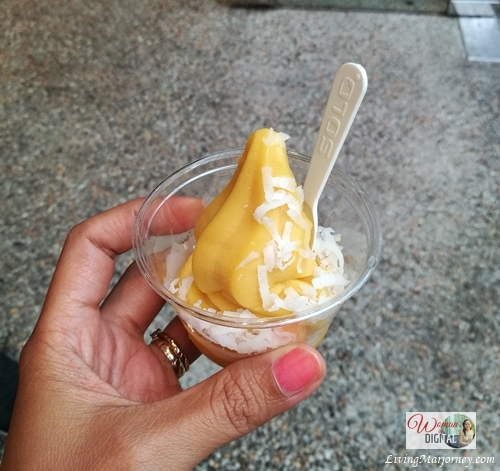 It's delicious, creamy and low-fat ice cream that comes in different toppings. 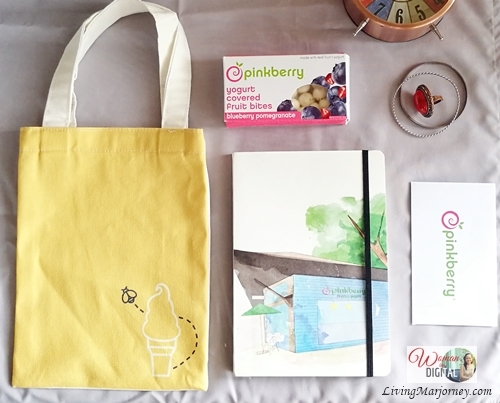 Do you like to own a Pinkberry Notebook with stamps for Pinkberry yogurt products? Pinkberry is also introducing the 12 Days of Summer Notebook Promo wherein limited edition Pinkberry Notebooks are up for grab! The first design is the watercolor themed notebook to be displayed in the stores starting May 29 with the launch of the delightful taste of Pinkbee’s. To qualify, just collect 12 stamps (6 stamps for Pinkbee’s and 6 stamps for Pinkberry yogurt products) worth at least Php 300 for every single receipt. Promotion starts on June 2 and ends on August 4, 2017. 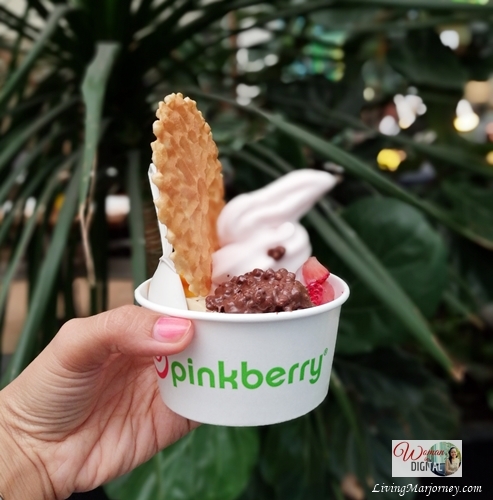 Visit any of the 7 Pinkberry branches here in Metro Manila- Greenbelt 5, Rockwell Powerplant Mall, SM Aura, Alabang Town Center, SM Megamall, Ayala Triangle Gardens, and SM East Ortigas. 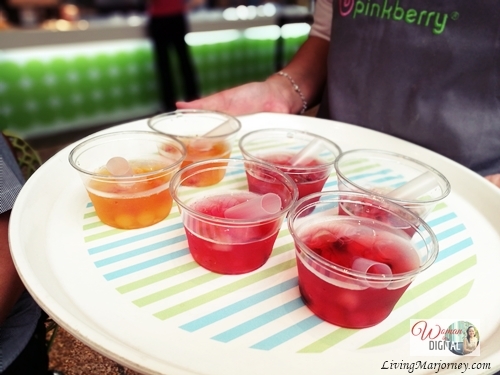 Grab a cup of maybe a tub of Pinkberry now. My ever favorite flavor is the original yogurt with fruit toppings such as kiwi, strawberries and almonds. What's yours?